Saturday morning will begin with sunshine and a few showers coming from the coast. This afternoon, there is a 40 percent chance of showers and storms, with on-and-off rain moving from the east. Highs are expected to be in the upper 80s. 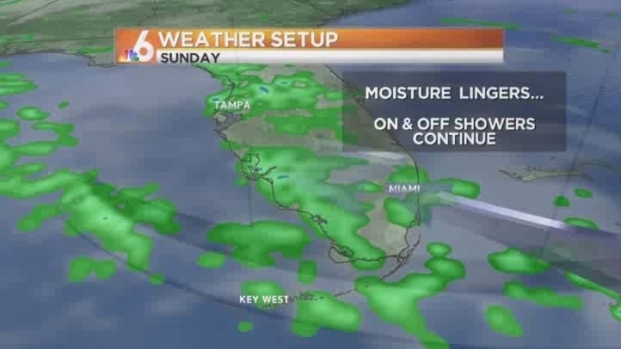 Plenty of moisture will be in place for Sunday as well, so a 40 percent chance of rain will remain through the weekend. Saturday Forecast -- Sept. 15 -- 7:30 a.m.
Showers and storms today with highs in the upper 80s. Rain chances will also be high through Wednesday as a front to the north will stall at the beginning of the workweek.